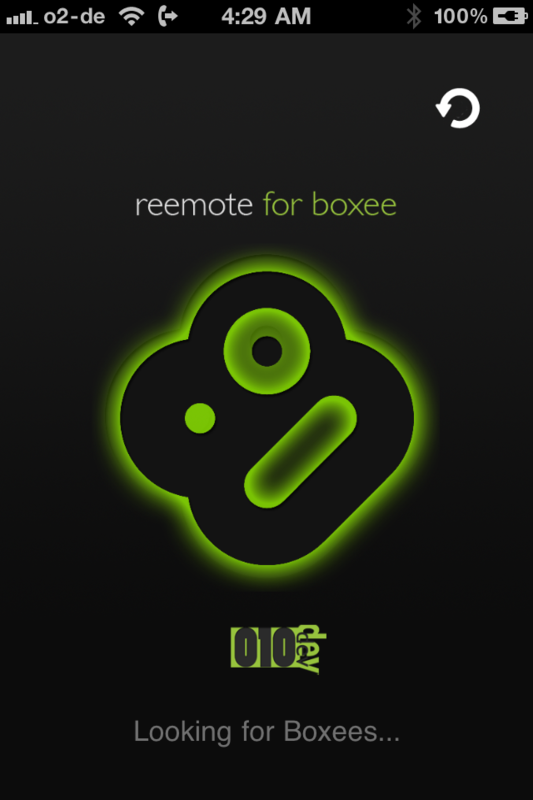 The most advanced Boxee remote yet! 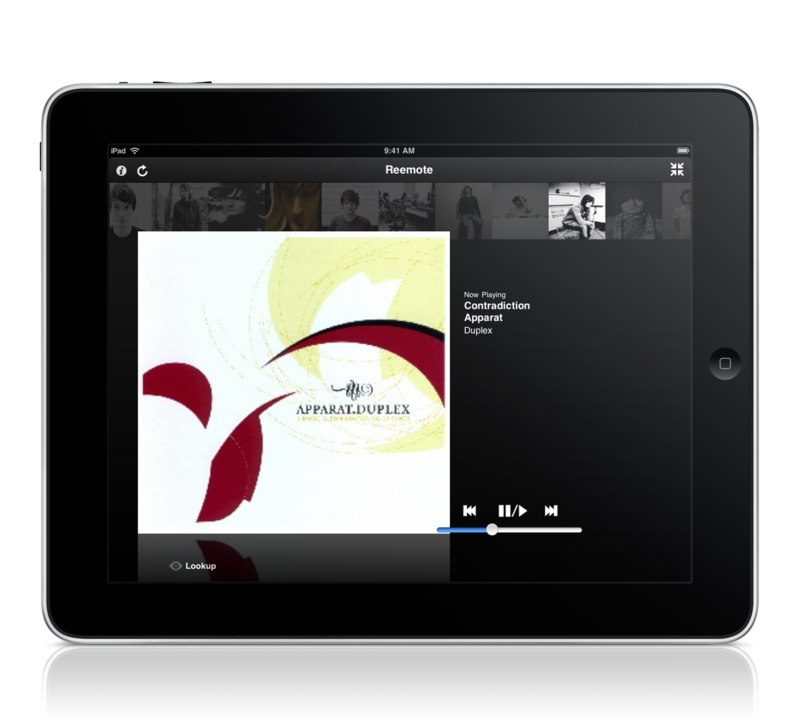 Works with Boxee Beta and the Boxee Box, scroll down for a complete feature comparison. Navigation - Gesture based navigation that is fun to use. 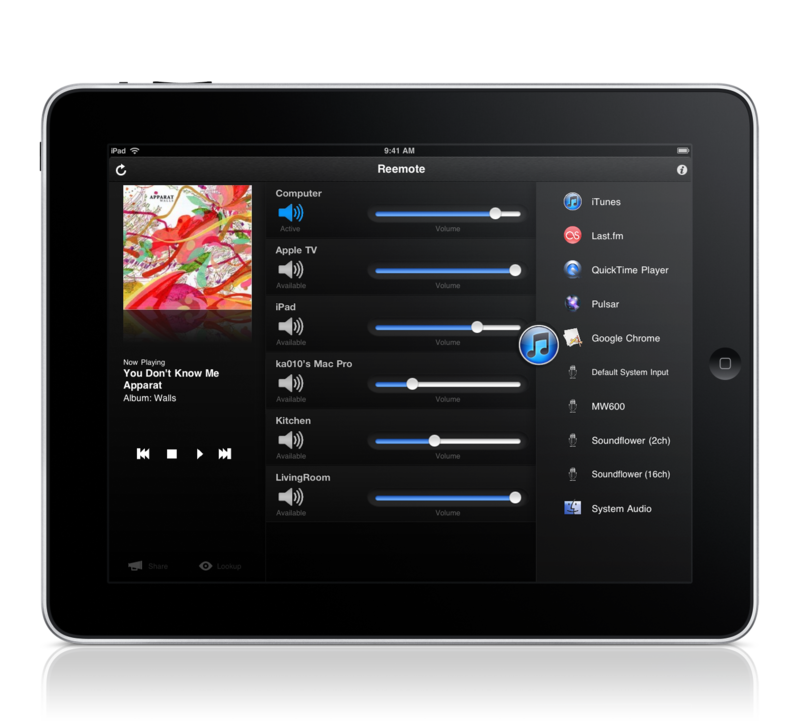 Mouse and Keyboard - use your iPad to remotely control mouse and keyboard input. 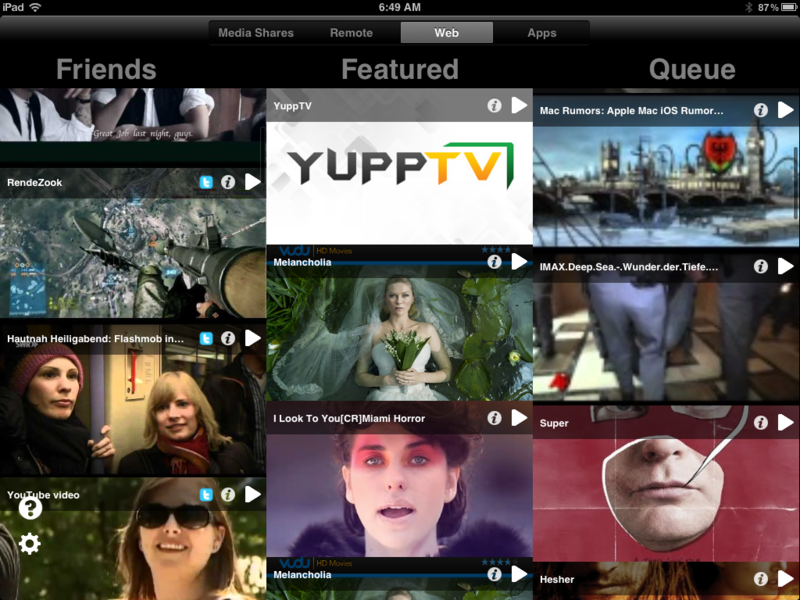 Media Shares - easily browse and find local content on your phone then play it back on Boxee. 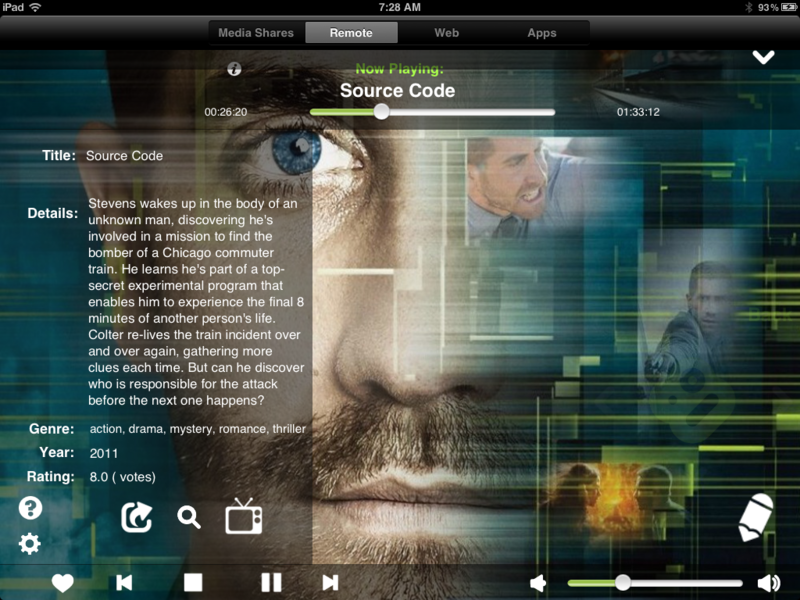 Library - browse your Boxee Library with beautiful artwork, cover-flow, additional infos, trailers, web lookup and all. 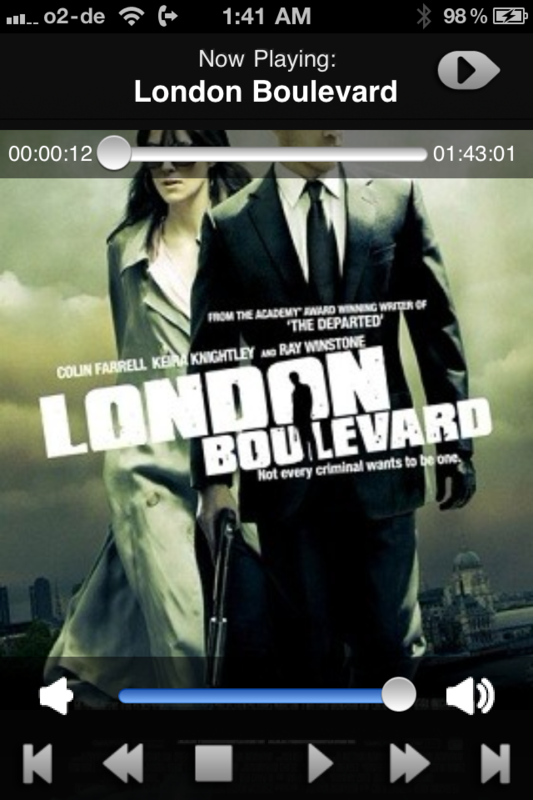 Now Playing - see whats currently playing, including beautiful cover art, additional infos, web-lookup and more. 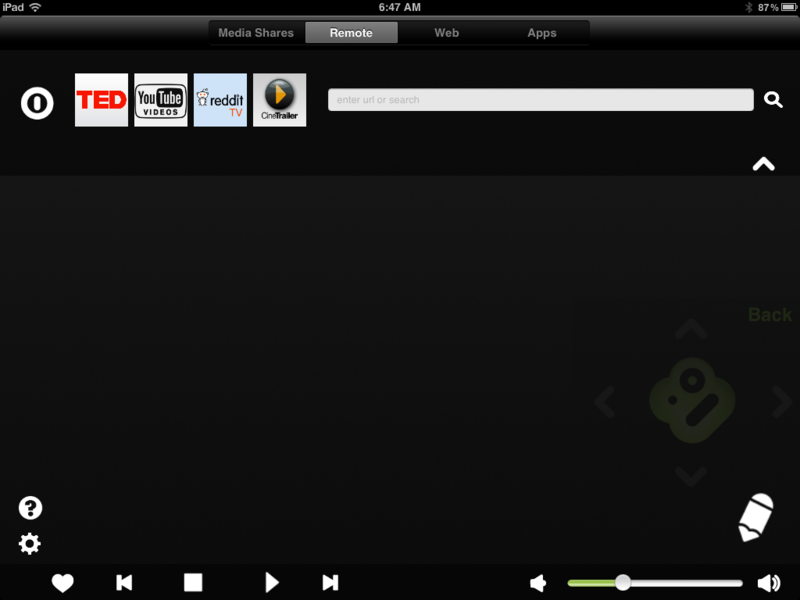 Web Content - Access web content like YouTube, TED or the Engadget Show directly on your phone, then play it back on Boxee. 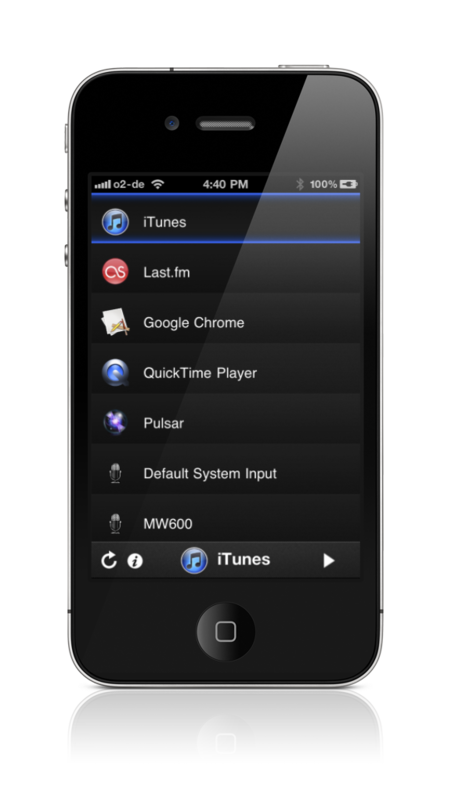 Shortcuts - quickly access common features via easy to use shortcuts. 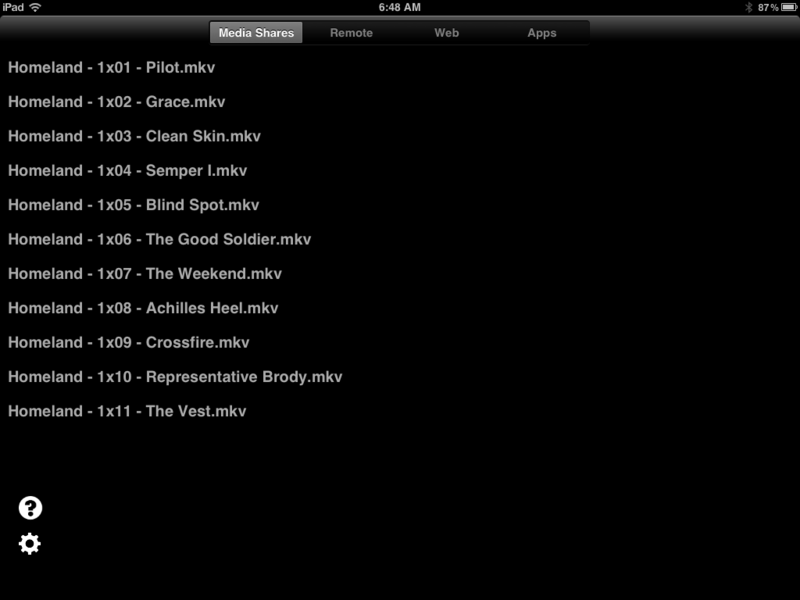 Media Shares - easily browse and find local content on your iPad then play it back on Boxee. 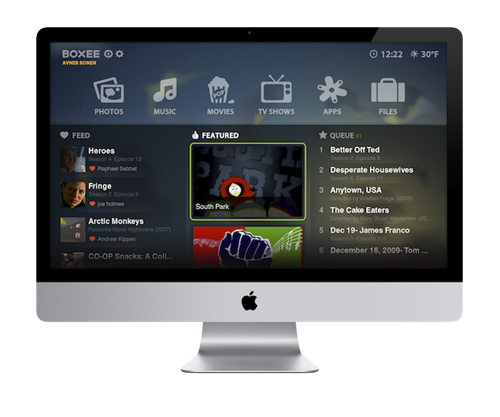 Featured Content - Browse Boxee's awesome featured content, play it back on your Boxee. Watch it Later Queue - Access your Watch it later queue and play individual items on your Boxee. 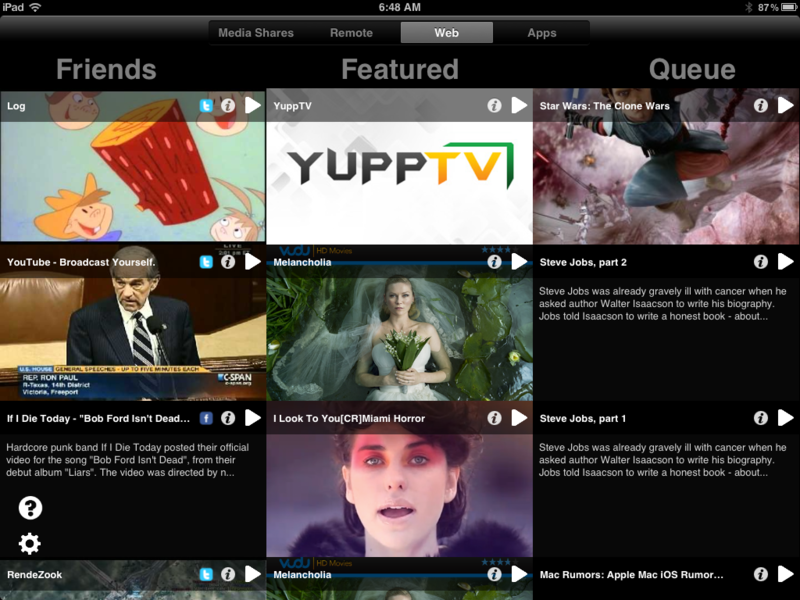 Social Content - See what your friends like, browse content and play it back on your Boxee. 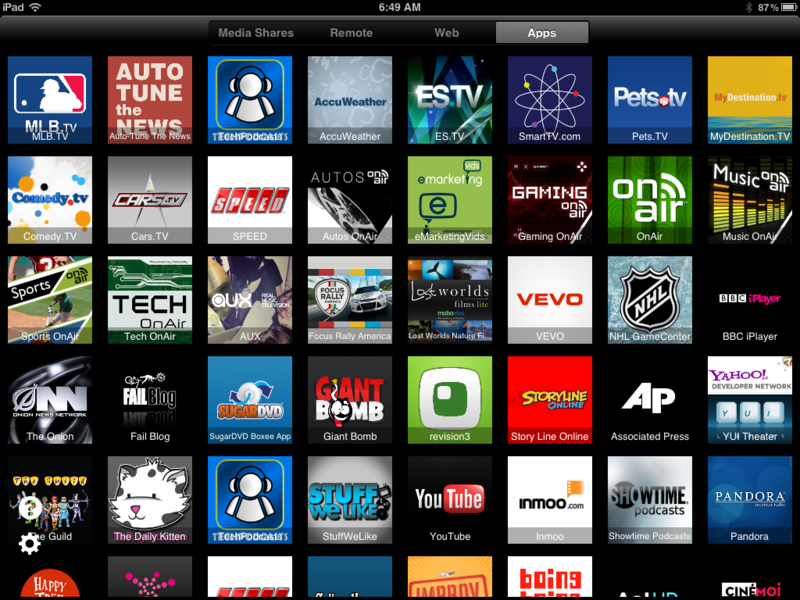 Boxee Apps - Browse the huge number of Boxee Apps and start them right from your iPad. 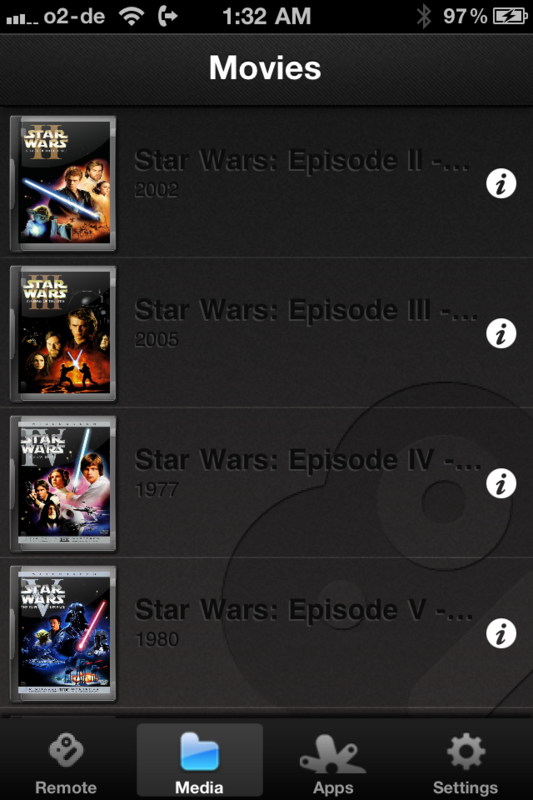 Q: Which versions of Boxee does Reemote work with ? 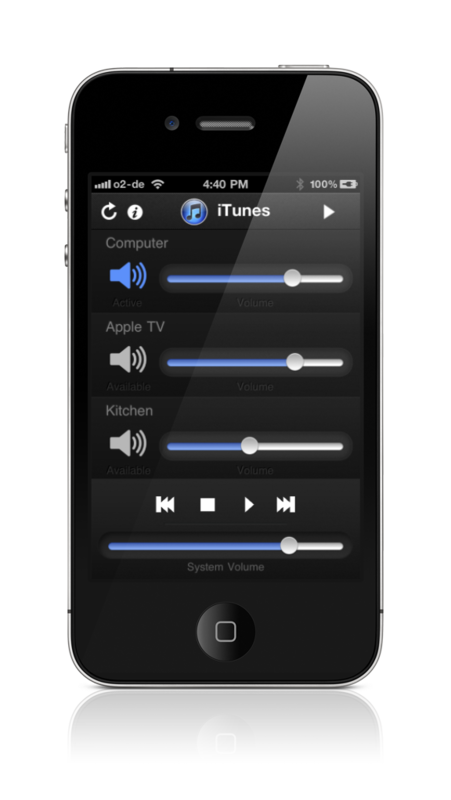 A: Reemote works with all version of Boxee, however because some of the are very different than others, available features may vary. See feature comparison for a n overview of supported features. 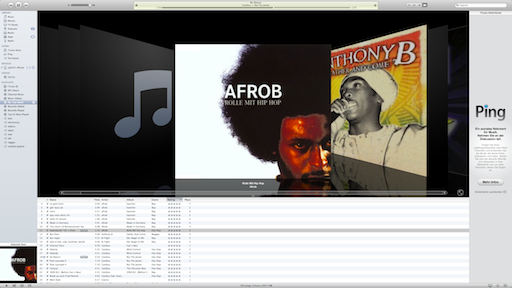 Generally, Reemote works best with Linux and Mac Boxees, as well as the Boxee Box. 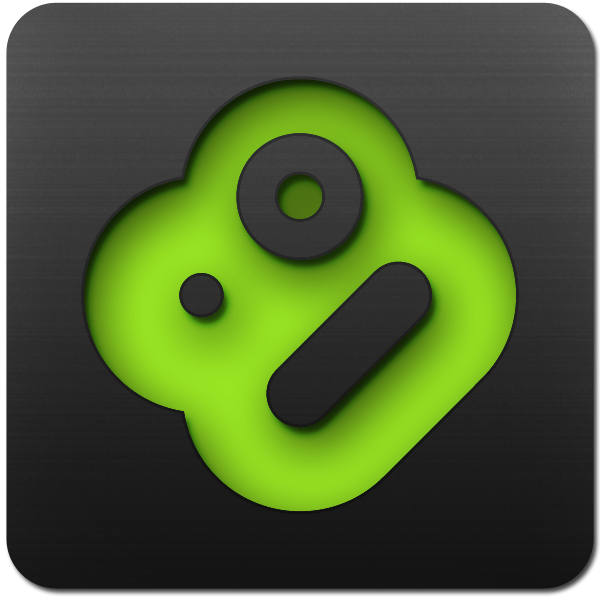 Q: Will full content browsing and library access be available for the Boxee Box some time ? 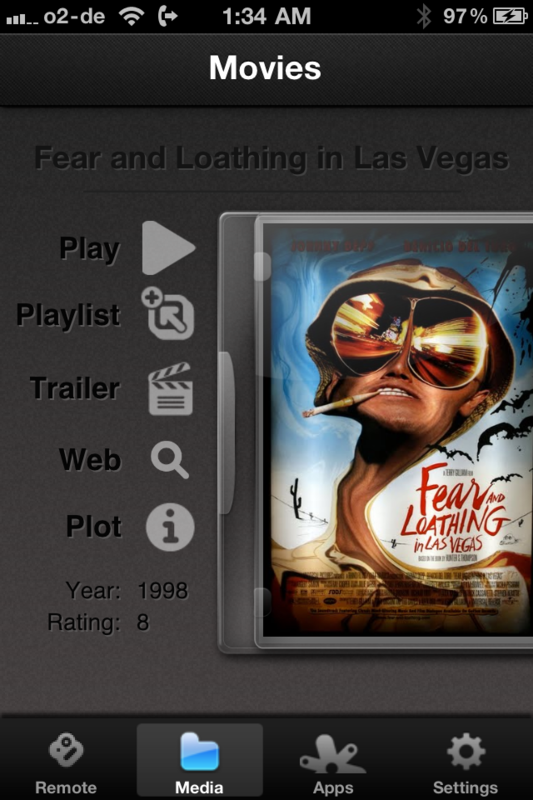 A: Unfortunately, this depends entirely on the Boxee API, which currently does not allow this for the Boxee Box. However I'm confident this will change some day. Q: Will there be an Android version in the future ? Q: How can I browse or access local content with Reemote ? 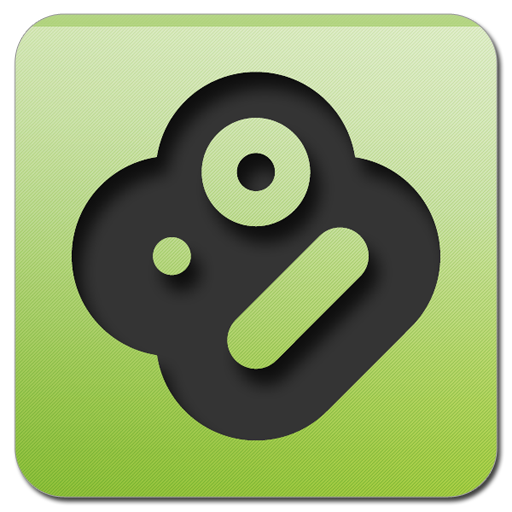 A: Currently Reemote supports access to Media Shares for all versions of Boxee, allowing you to browse for video files and play them back on Boxee. Q: Reemote for iPhone just does nothing when trying to play content from within the app, whats wrong ? 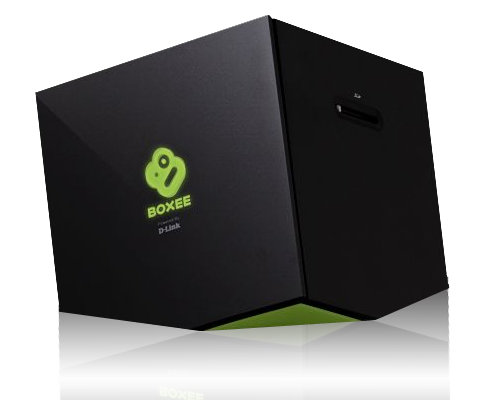 A: There's a bug that might cause this if you are using a Boxee Box which has a server name different than "boxeebox". 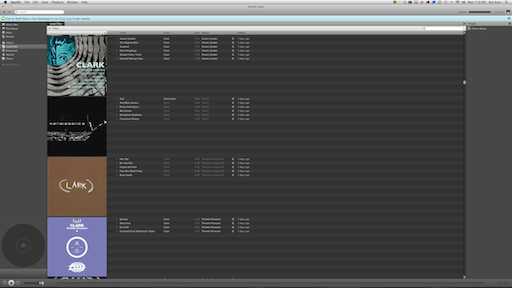 As a workaround, you can just change the name of your Boxee Box, to do so go to Settings -> Network -> Servername. A fix has already been submitted to the AppStore. Q: Reemote connects but none of the controls are working, why ? A: Currently, Reemote does not support authentication, so please make sure the Boxee webserver is enabled and does not require a password. 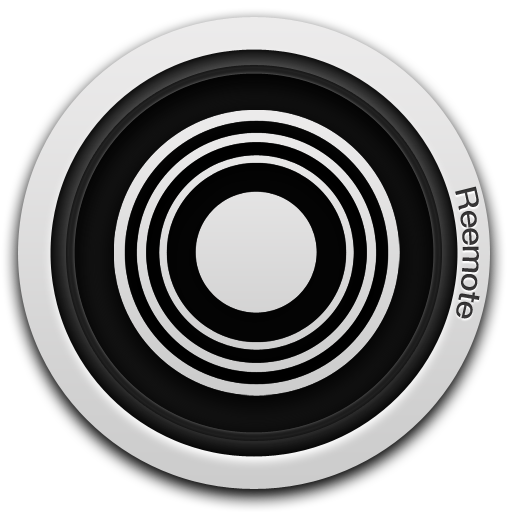 Q: Can I use Reemote for Airfoil with my Windows PC ? 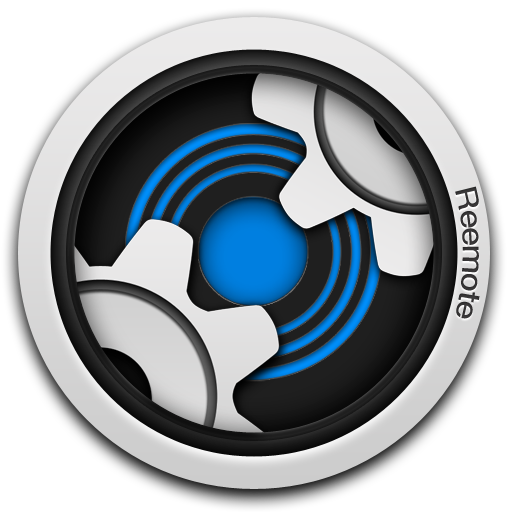 A: Unfortunately not, Reemote currently only works on the Mac. Tagline: The perfect Airfoil accessory! 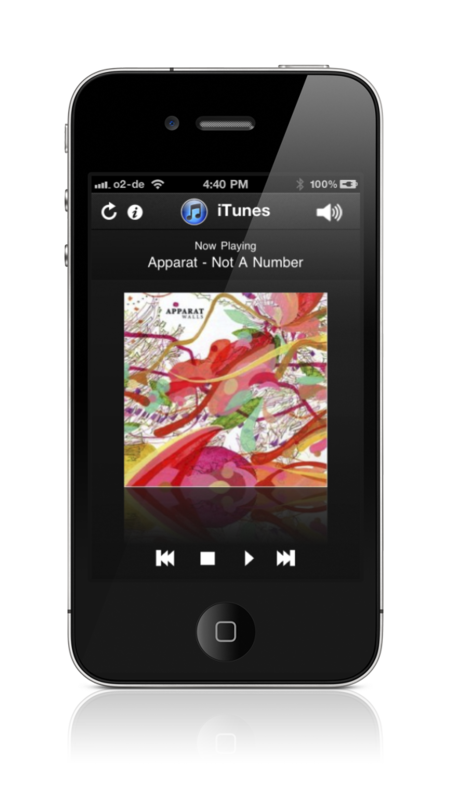 10 word copy: The perfect Airfoil accessory, remote control speakers, sources and more! 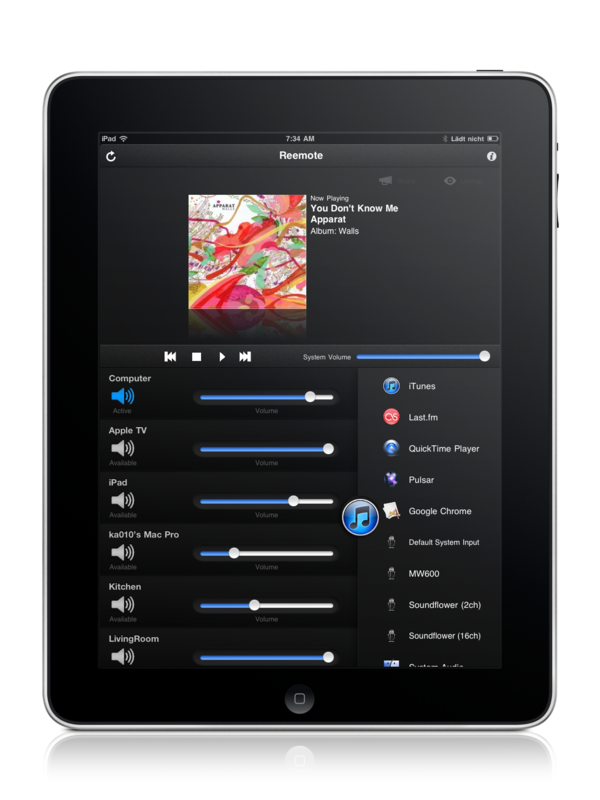 20 word copy :The perfect Airfoil accessory, remote control your speakers, sources and more! 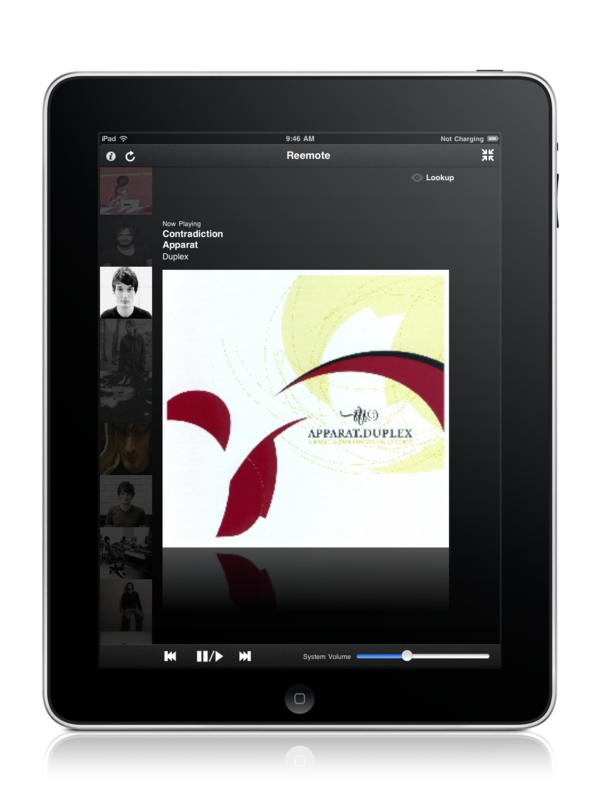 Available for iPhone, iPad and Mac OSX. Friend me or send me a message on Facebook.